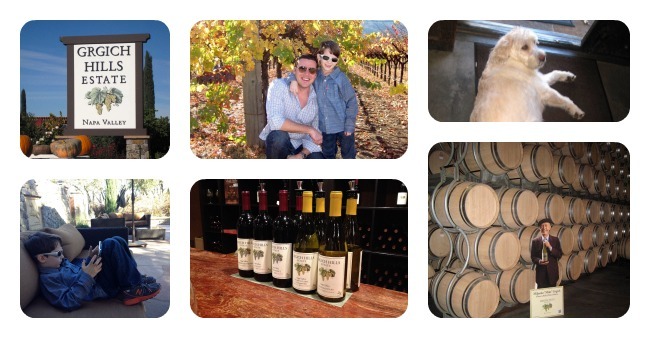 My family recently had an amazing trip to Napa Valley (and San Francisco, but I will cover that in a separate post). 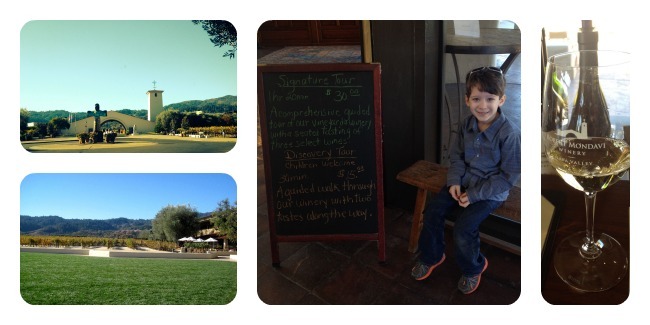 We brought our Kindergarten son along and researched family friendly wineries and eateries in advance. We had a great time and winery staff and other tasters went out of their way to tell us what a well behaved little man he was. He brought along his iPad and would find a place to sit and never made a sound. My husband and I are wine lovers so our little guy is accustomed to visiting wineries. He knows to respect the vineyard and surroundings, he enjoys seeing the vines and nibbling on cheese and crackers! He also loves interacting with the winery dogs (a special shout out to Bean the Labadoodle at Grgich Hills and Rudy at Heitz Cellars)! We visited the following family friendly wineries (during off season, November is apparently a quiet time) and our son was greeted warmly. 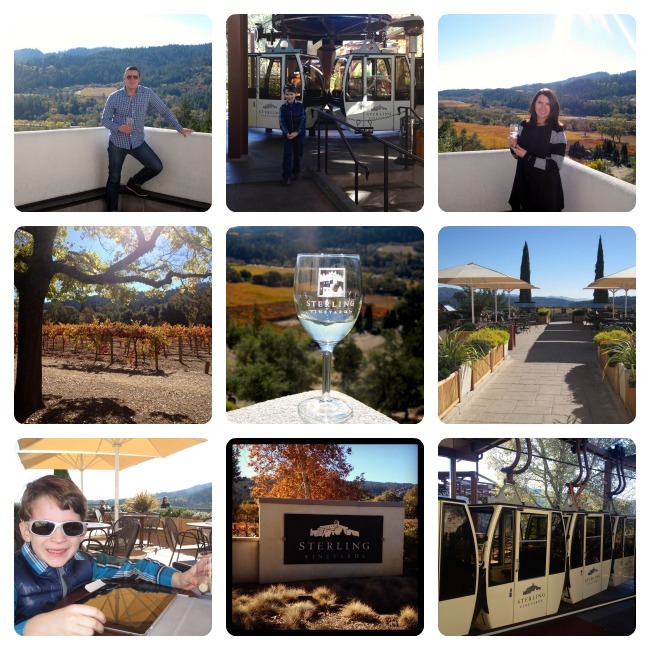 Sterling Vineyards: Kids of all ages will enjoy the tram ride up to the winery. The views are spectacular and you go on a self guided tour to learn about the wine making process. My son was also given a plastic souvenir cup filled with corks (and offered juice), it made his day! 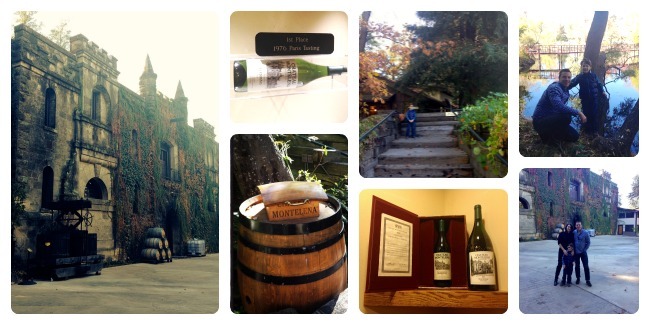 Chateau Montelena: Beautiful grounds to walk around, lots of wildlife to see. If you join their club, you can enjoy a picnic near the water (just RSVP the space in advance). Heitz Cellars: The tasting room was cozy with a beautiful wood burning fireplace, my son enjoyed sitting by the fire with Rudy (one of the winery dogs). There is a serene outside space in the back surrounded by vines. 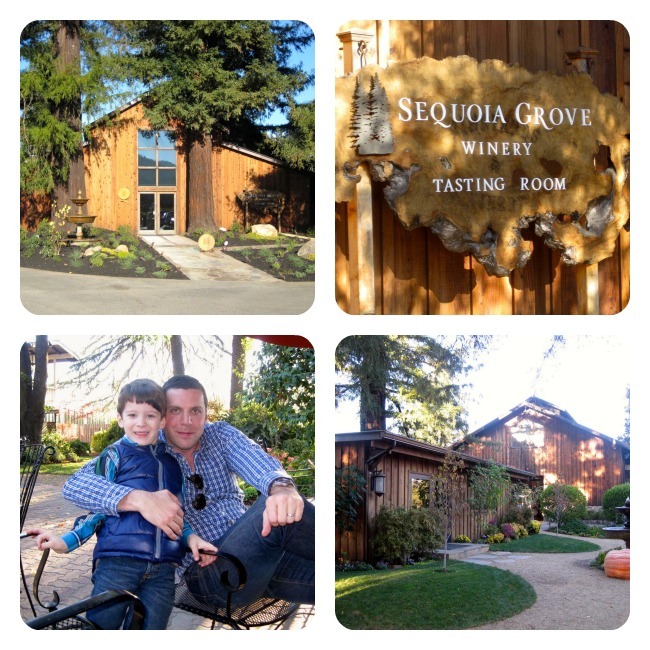 Sequoia Grove: The trees make this winery spectacular (well and their amazing wines)! After tasting, we sat outside and enjoyed the grounds surrounded by enormous sequoia trees! The breeze blew a beautiful scent of pine. There were other families (and dogs) there, it was a nice family atmosphere. 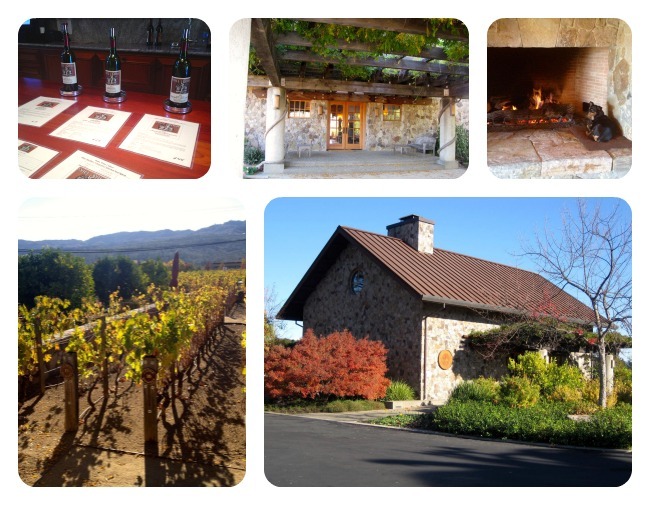 Robert Mondavi: This winery actually has a family friendly wine tour that allows children to participate on specific days/times (we did not opt to experience this though). We saw several families enjoying the grounds. Grgich Hills Estate: The moment we entered Grgich Hills, we were greeted by the sweetest labadoodle, Bean! We had a wonderful time tasting and my son sat with Bean (so he was in heaven). Afterwards, we enjoyed the patio area. Pine Ridge Vineyards: Not only is this winery kid friendly, but it is also dog friendly. 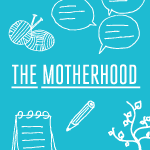 Upon entering, my son was offered water and snacks. We enjoyed our tasting then spent some time outside taking photos and enjoying the beautiful views. 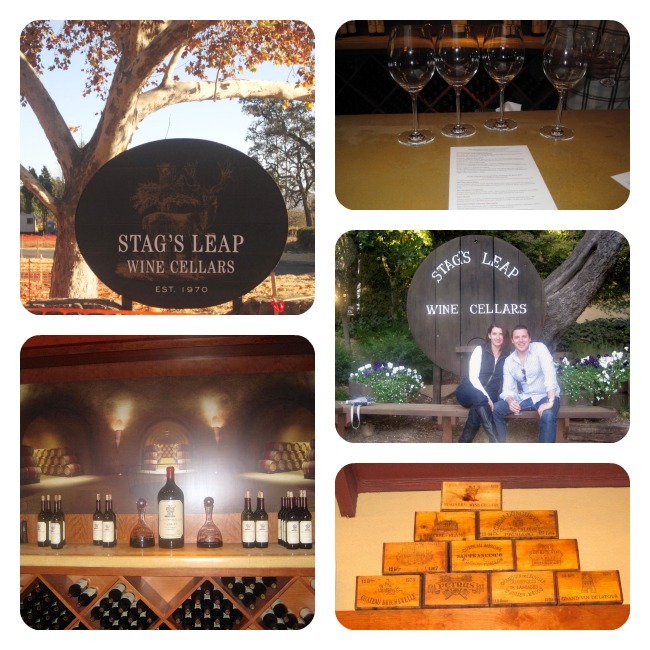 Stag’s Leap: This winery was the busiest of all we visited (there was a wait list), but they were still accommodating. Stag’s Leap doesn’t have much outside space, but it’s still a nice winery. I just wish it wasn’t so busy when we stopped because I don’t feel we were able to fully experience everything they have to offer. 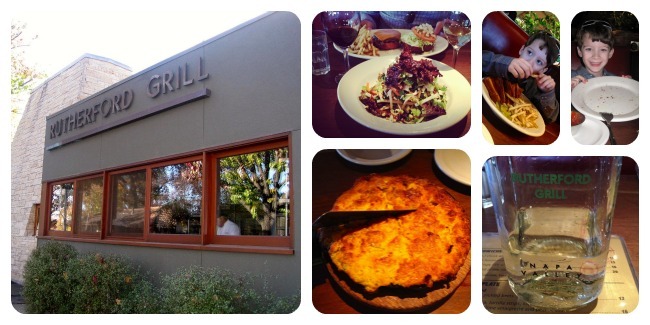 Rutherford Grill is a place we enjoyed several years ago when visiting Napa and Sonoma (especially the iron skillet cornbread), so we stopped in again. Lunchtime was busy, but we didn’t have to wait long for a table. We did not see a kid’s menu published but our waiter was happy to tell us the offerings. My son opted for the grilled cheese and there wasn’t a bite left on his plate! I had the Grilled Chicken Salad (totally amazing) and my husband enjoyed his perfect cheeseburger! We saw many families dining there, it’s a loud restaurant and definitely family friendly. Also, bring a bottle of wine with you, there is no corkage fee! 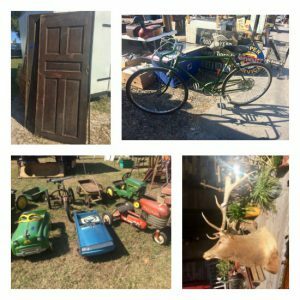 If you are near Calistoga, check out Buster’s Southern BBQ! The aroma of smoking bbq is intoxicating! 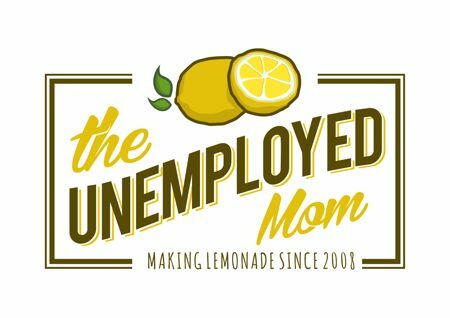 It’s a very casual eatery but the food is so good! You order at a window, watch your bbq being plated and then grab a seat and devour! 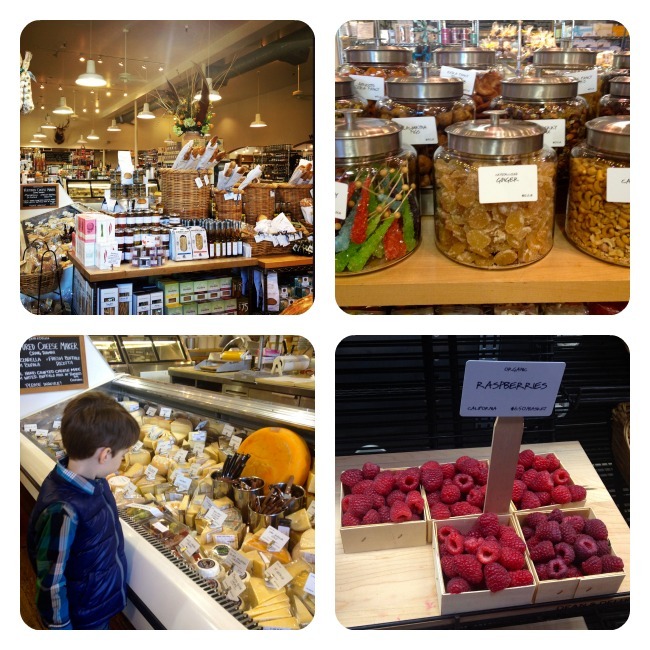 We also stopped at some awesome places to grab juices, snacks, baguettes, cheese and fruits…Dean & Deluca and Oakville Grocery. 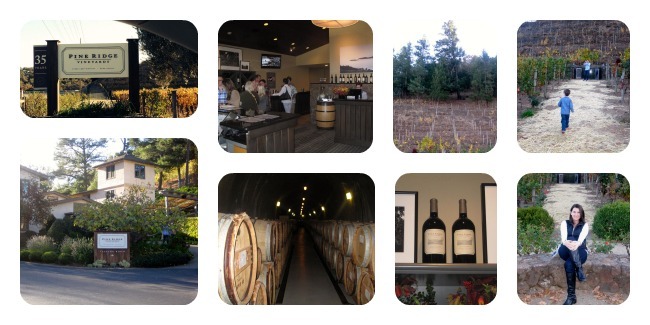 While in Napa Valley, we stayed at the The Westin Verasa Napa and walked to the Oxbow Market! 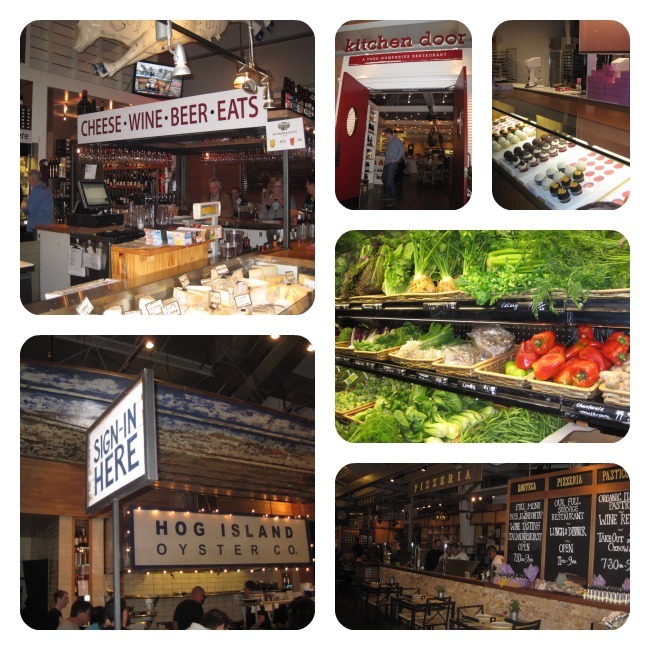 This public market is filled with an assortment of shopping and dining options (bakery, beer, breakfast, charcuterie, cheese, coffee, dessert, dining, housewares, meat, produce, seafood, shopping, spices, spirits, etc.). We tried C Casa one evening for dinner and the tacos were delicious! 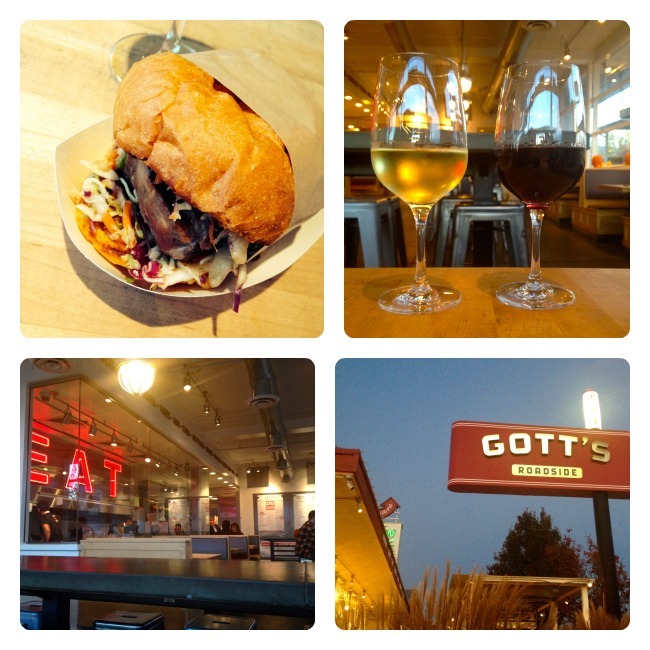 We also tried Gott’s Roadside and my husband had the most incredible Seared Ahi Burger! 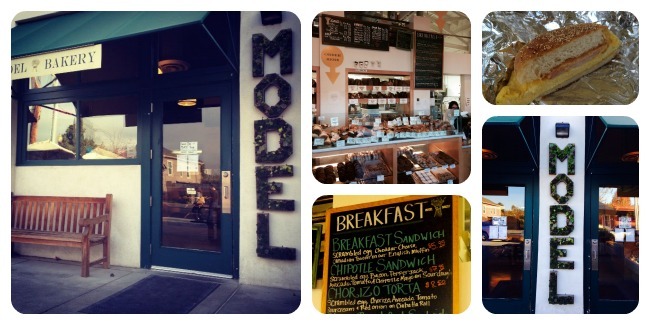 Our favorite spot though was The Model Bakery! We visited the bakery every single morning for the most amazing breakfast sandwiches. We would return in the evenings for a baguette! 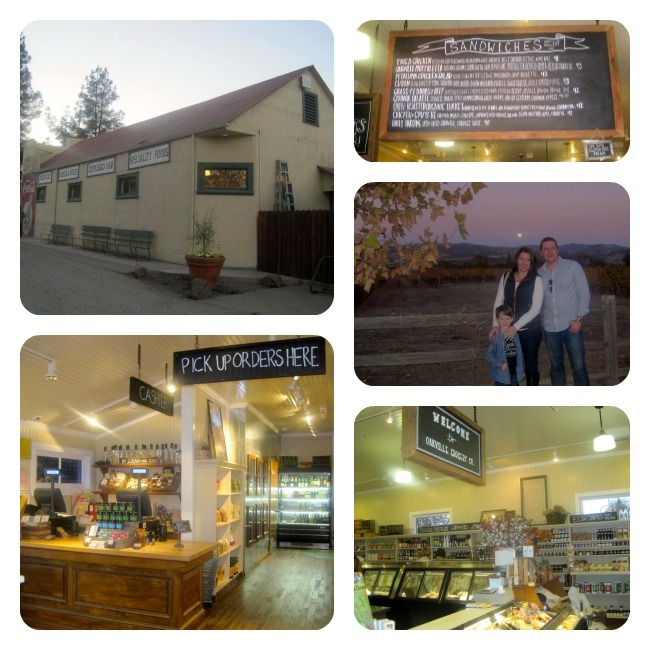 The bakeshop is quaint, baked goods are simply amazing (try the english muffins…best in the world) and staff is friendly. 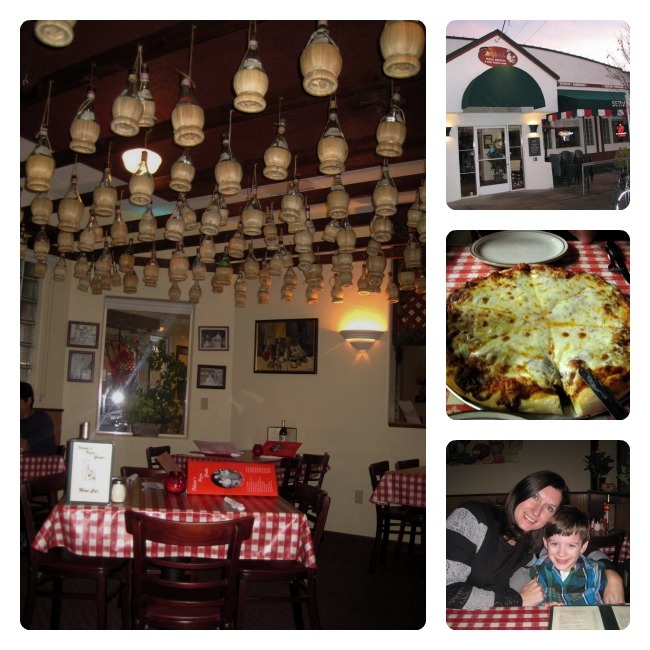 We also tried Filippi’s Pizza Grotto one evening and shared a pepperoni pie. The restaurant is cute (traditional, old school complete with red & white checkered table clothes and chianti hanging from the ceiling). The pizza was delicious, we didn’t have any leftovers. Great service, too! 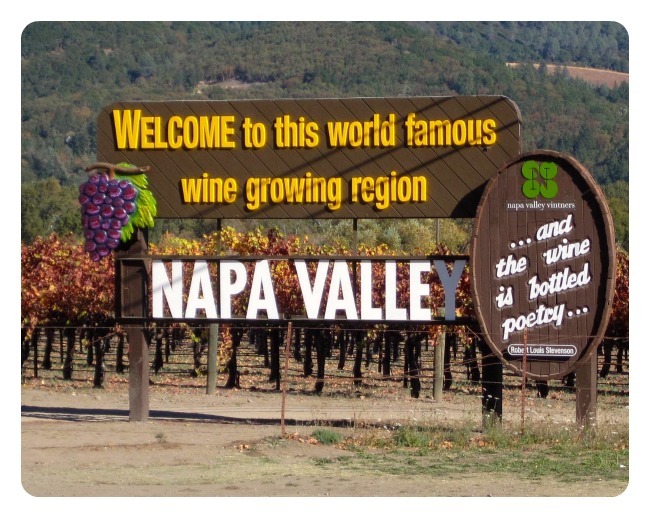 All in all, we found Napa Valley to be extremely family friendly. We cannot wait until our next trip!